Such a terrible blogger I am. In May, I ended my last post with “We had some leftover chili sauce and onions, and used that to resurrect another recipe on the next day. Stay tuned for a post about that one.” And you are still waiting. I apologize. I didn’t waste all the time in the meantime, though. I spent part of it doing two more Master’s thesis drafts as well as a couple of research projects (one food-related, yes indeed). The thesis is now done (done! really! 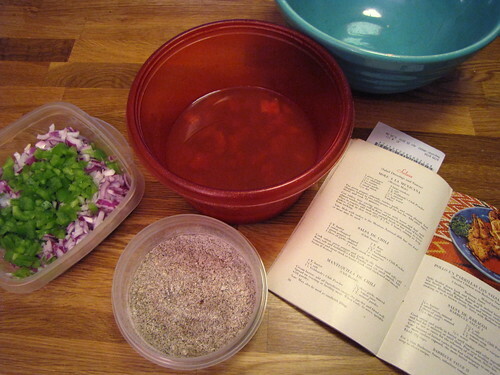 ), so I hope I can get back to the business of recipe resurrecting. 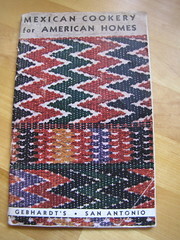 “…We have spared neither labor nor expense in our efforts to give dishes that are pleasing, novel, and easily prepared. 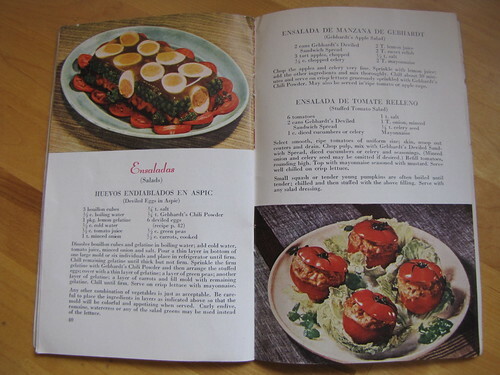 To six eggs use three tablespoonsful of grated mild cheese, one large tablespoonful of butter, one teaspoonful of onion juice or a small chopped onion; one half-teaspoonful of Gebhardt’s Eagle Chili Powder and salt to taste. 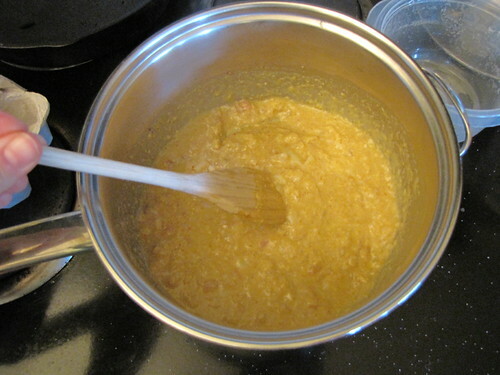 Mix the cheese, butter, onion, chili powder and salt in a hot pan and stir until cheese is melted. Break the eggs into a bowl, adding the cheese and cook slowly, stirring until done, and then stir in chopped parsley and serve hot. This is pretty straightforward despite being 102 years old. We had almost every ingredient available either from leftovers from the previous night’s enchilada experiment (such as the onions, cheese, chili powder, etc.) or because we had it on hand anyway (the eggs). The only ingredient we didn’t have was the chopped parsley, and I decided I could easily live without it. 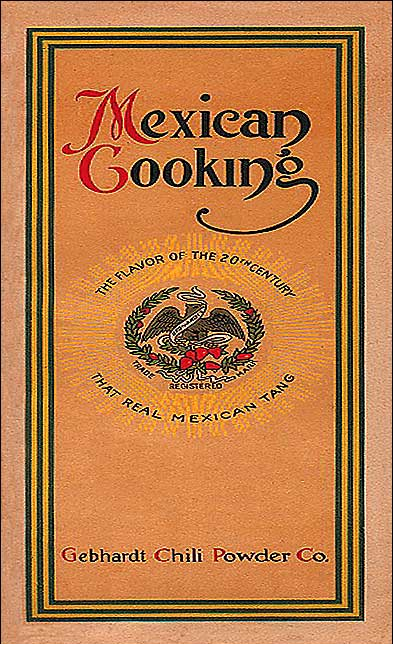 The recipe just says “serve hot.” When looking at modern versions, though, I saw that the dish is often served on tortilla strips. 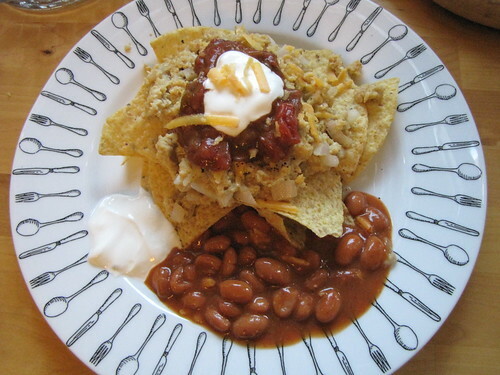 I cheated and used tortilla chips I had on hand. I piled huevos on the chips, then put a dollop of chili sauce (made for the previous night’s enchiladas) and a smaller dollop of sour cream on the top, and a tiny sprinkle of grated cheese. I ate it with a side of beans and spicy sauce. It was good. 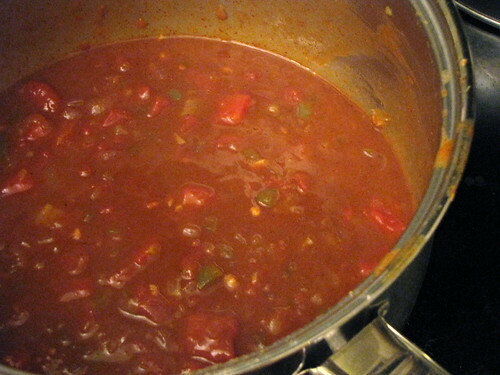 It was not as spicy as I would have liked it, so if I make it again, I may experiment with more spice. 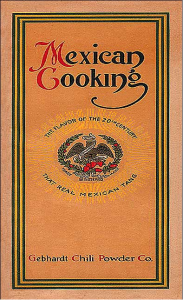 Considering that the recipe is from 1908 and was written for an audience that may not have been as comfortable with hot and spicy foods as we are, I’m not surprised that it was a little mild. It was still tasty and I would certainly cook it again. 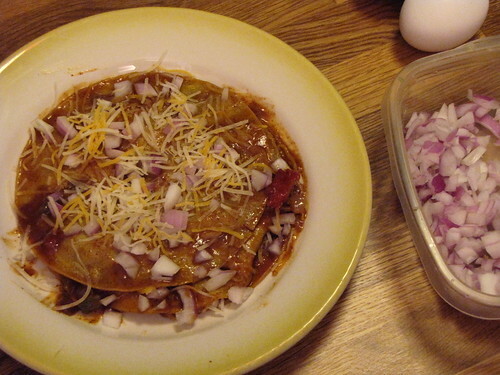 It was not, however, as good as the enchiladas from the previous night, which were tremendous. Yum. Looks pretty tasty, hmm?